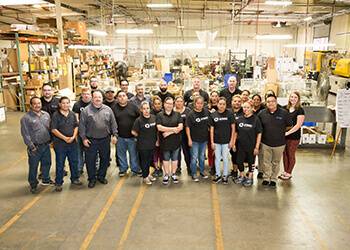 As a worldwide leader in bird control products, our manufacturing, distribution and logistics teams are committed to your success. With in-house manufacturing capabilities, strong vendor relationships and a large product selection, Bird B Gone, Inc. can offer you fast, simple fulfillment you can depend on. Our people and our team are the source of our strength. When you purchase products offered by Bird B Gone, you can purchase in confidence knowing that we hold ourselves to a higher standard, respect our employees, offer a safe work environment and support the American economy. Our primary focus of quality management is to meet your requirements and exceed your expectations. We employ full-time quality assurance personnel who enforce our rigorous QA process. Each shipment is inspected and signed prior to leaving our facility. Relationships, accurate forecasting and on-hand minimums have helped Bird B Gone successfully offer on-time delivery. Need same-day shipping? Bird B Gone proudly offers same-day shipping on core products. Get the products you need when you need them with Bird B Gone. Put your name on the best products in the bird control industry. Bird B Gone offers private labeling and will ship to your warehouses across the globe.